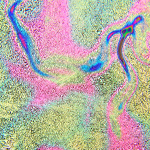 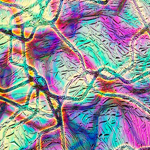 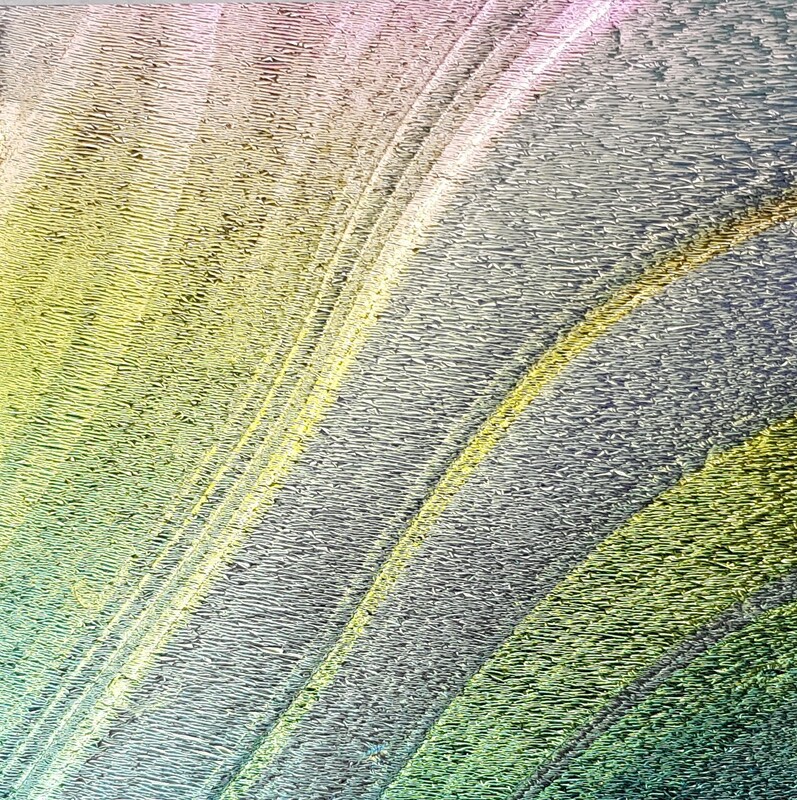 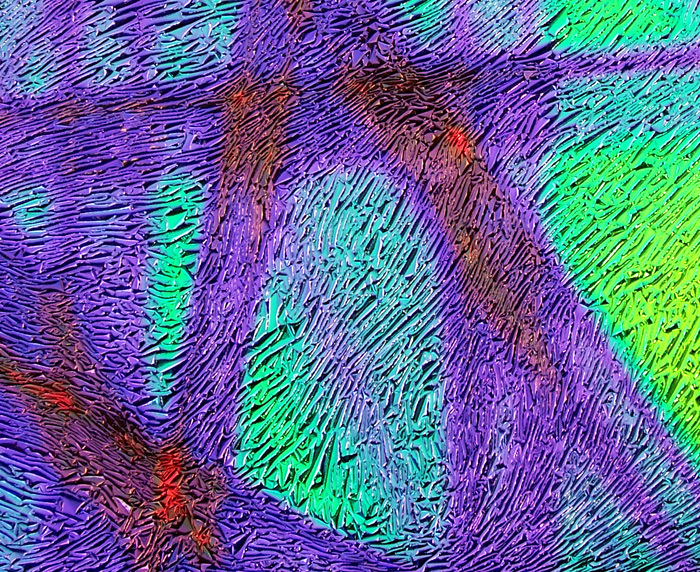 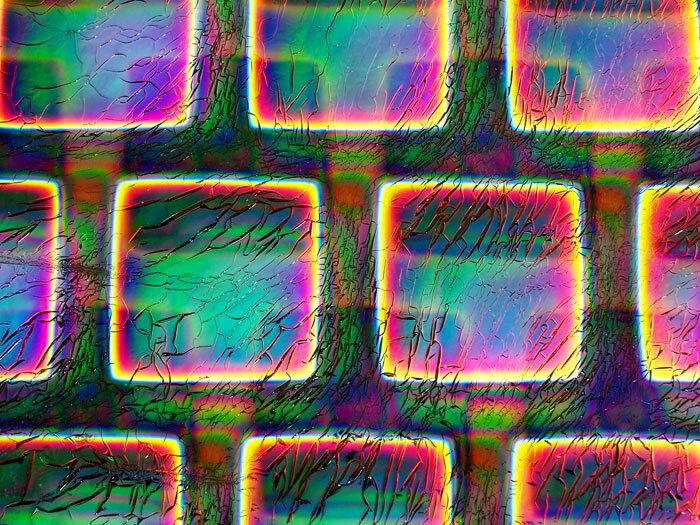 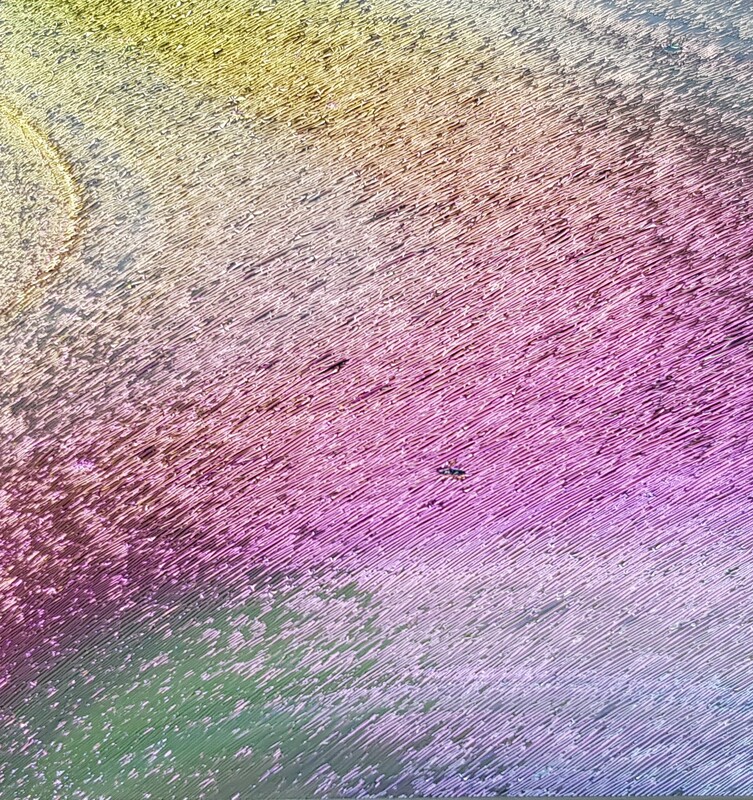 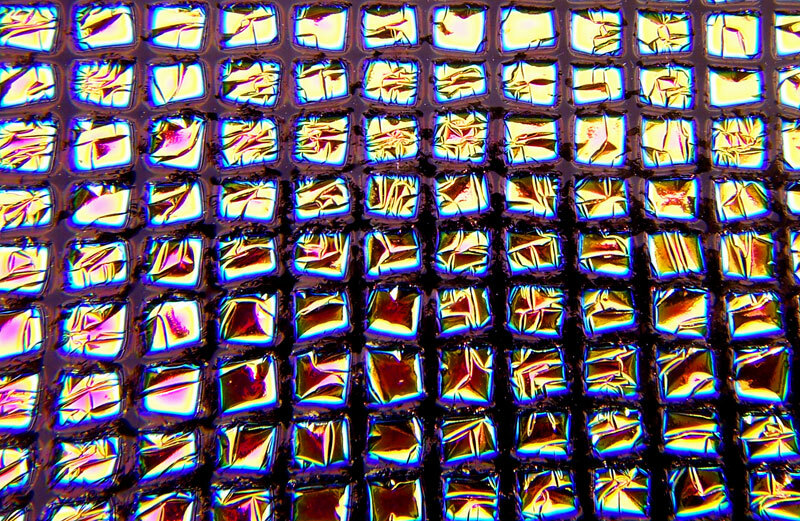 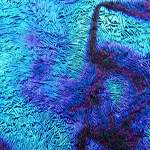 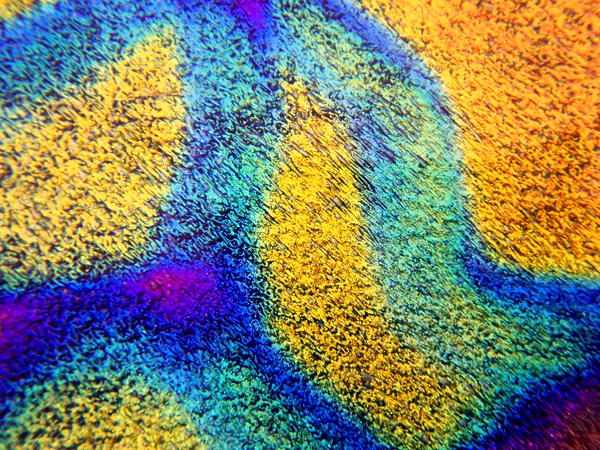 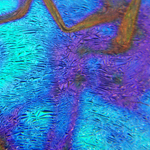 Crinklized Dichroic™ is MADE to be left exposed. 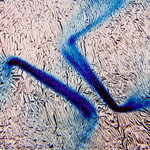 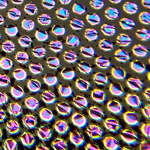 The intrinsic nature of this new coating is much more exaggerated when the coating is allowed to push upwards and crinkle, crystallize and curl. 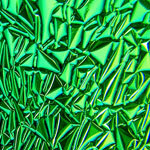 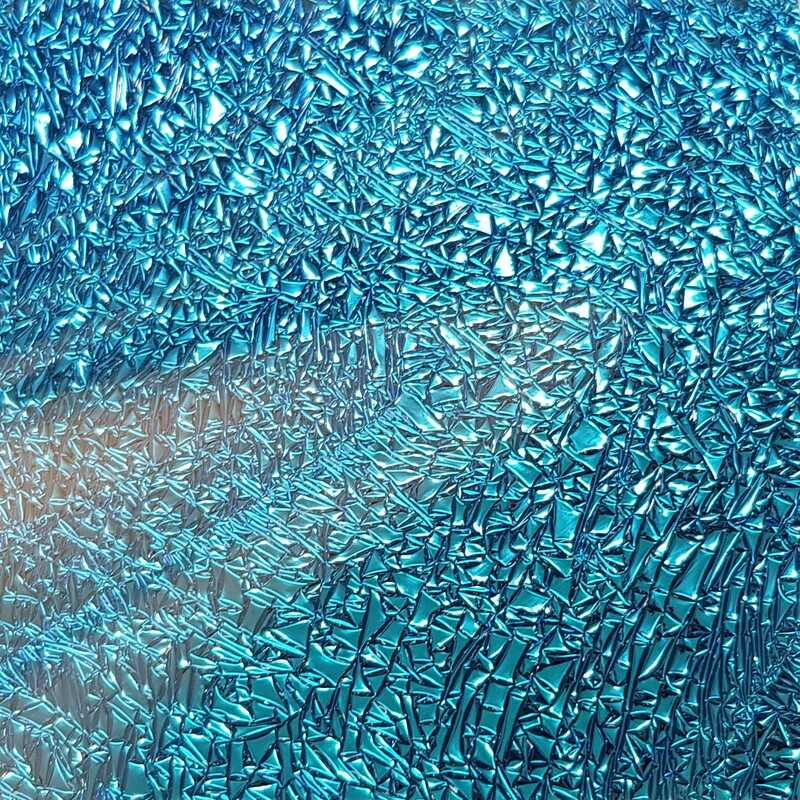 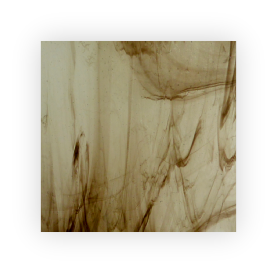 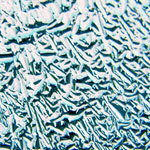 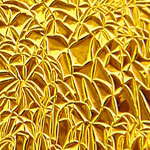 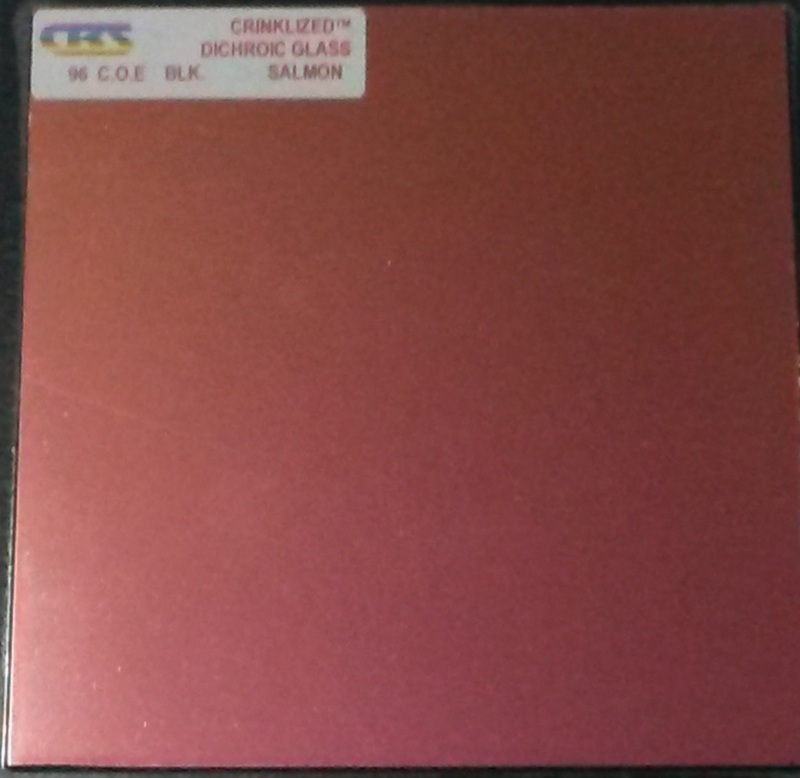 Many of the Crinklized sheets appear to have an unusual reflective color prior to hotworking, especially when the coating is viewed from the back side of a clear sheet. 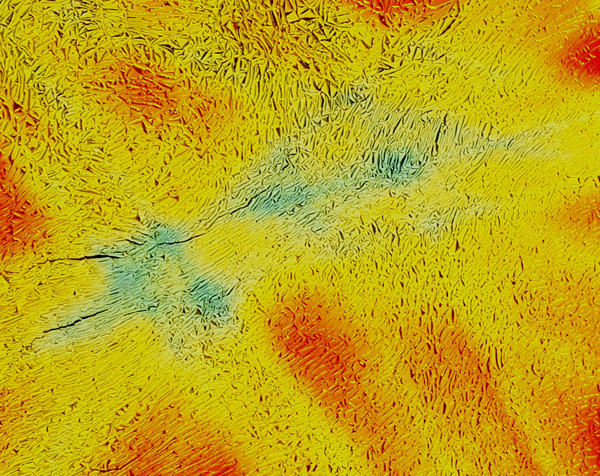 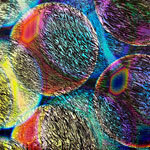 This all fires away to reveal the same brilliant CBS Dichroic colors that everyone expects. 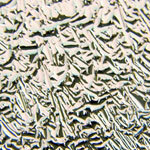 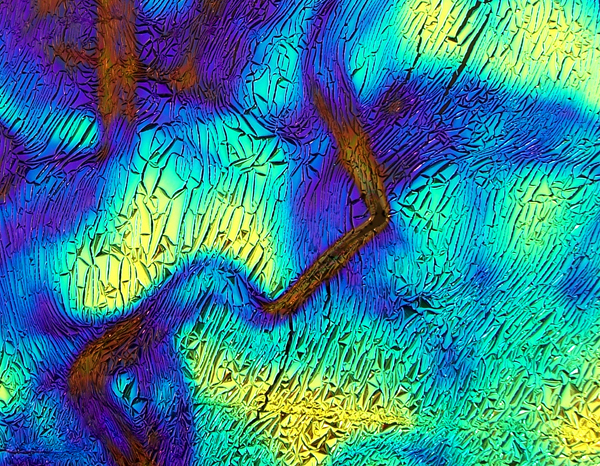 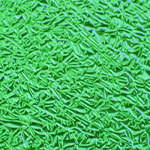 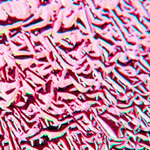 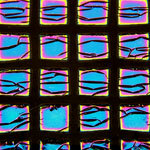 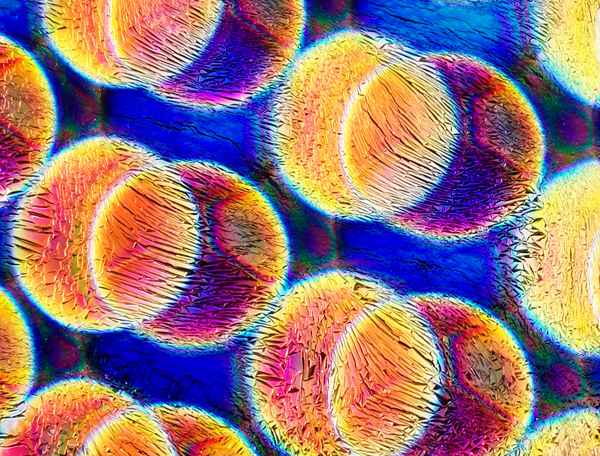 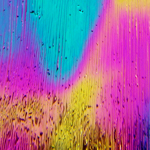 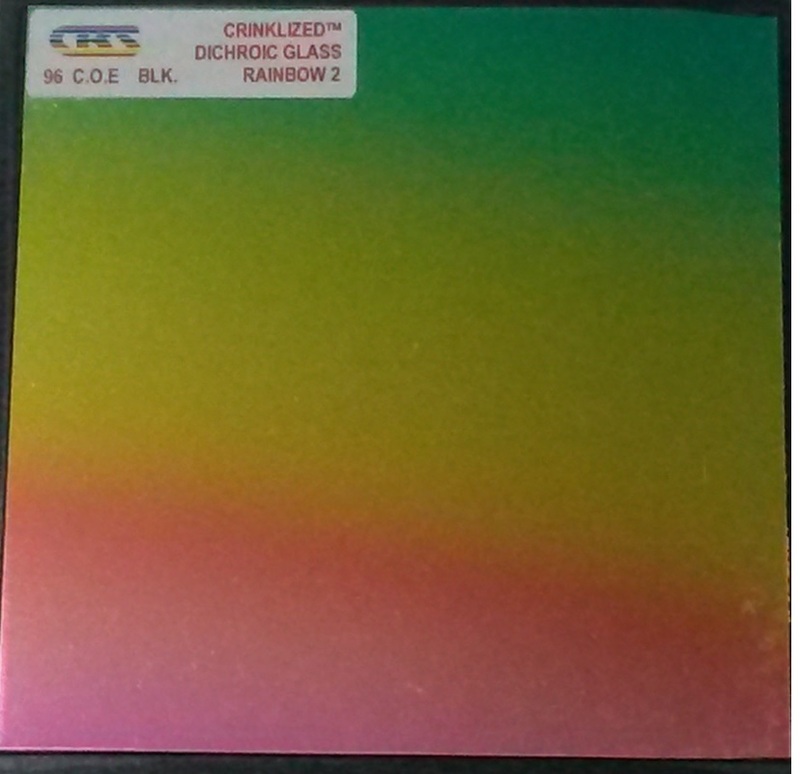 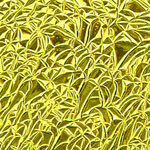 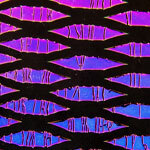 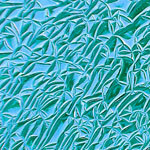 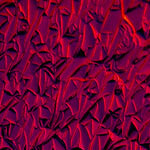 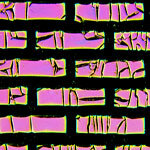 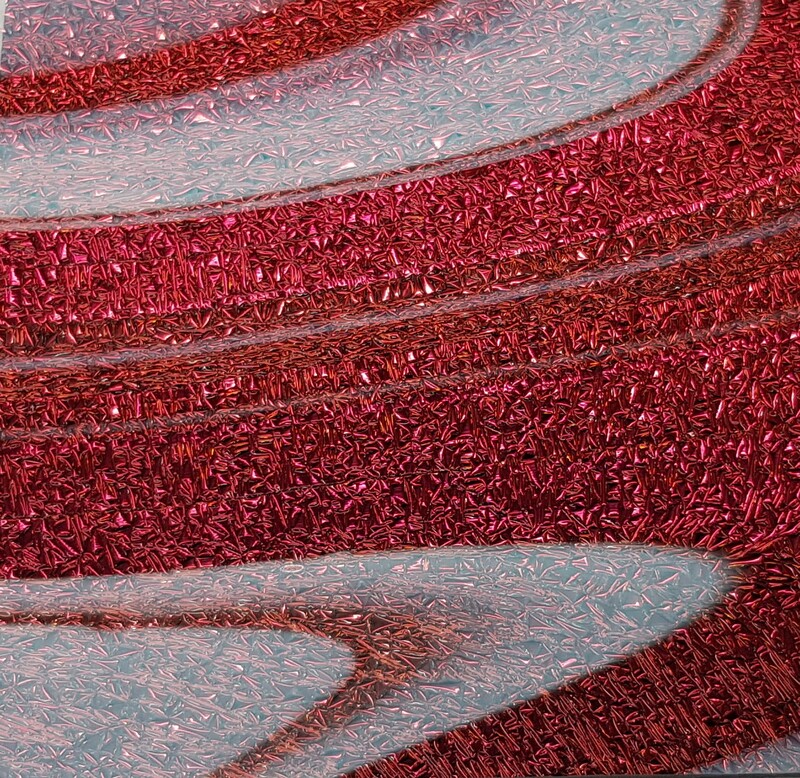 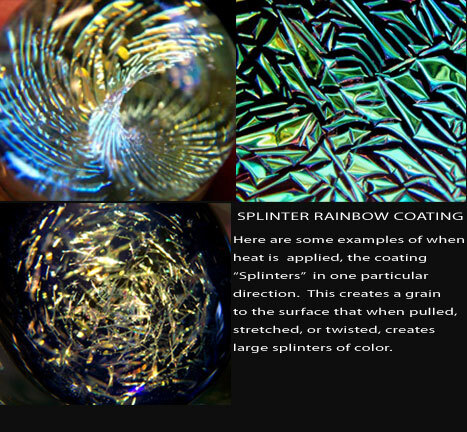 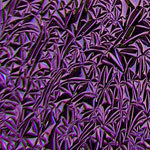 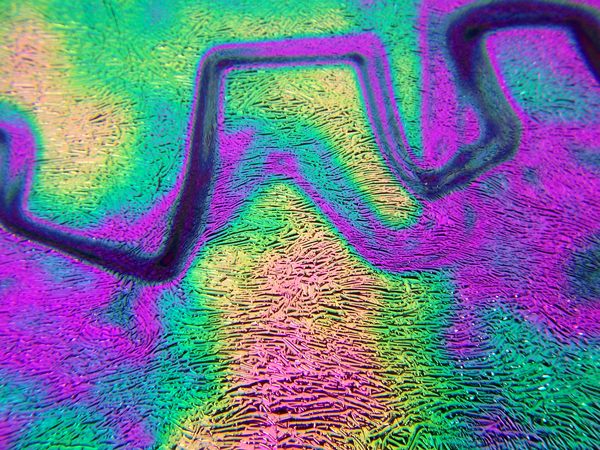 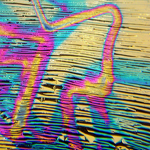 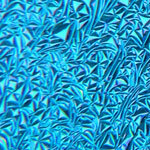 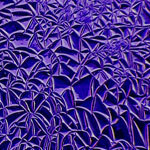 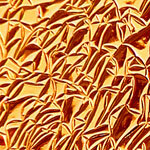 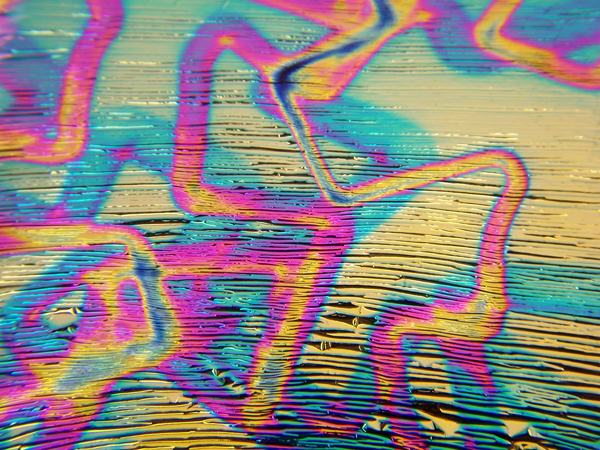 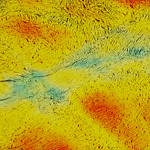 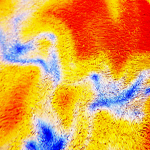 Expect similar predictable color shifts when hotworking the new Crinklized Dichroic™ as with CBS original coatings.